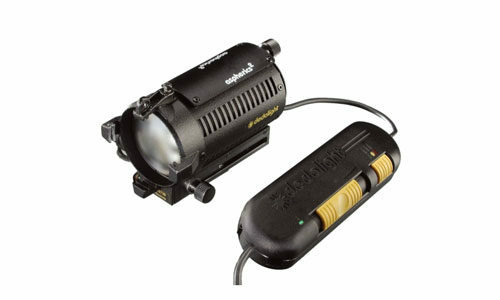 The Dedolight system is extremely compact yet with its dual-lens concept provides superb light output. 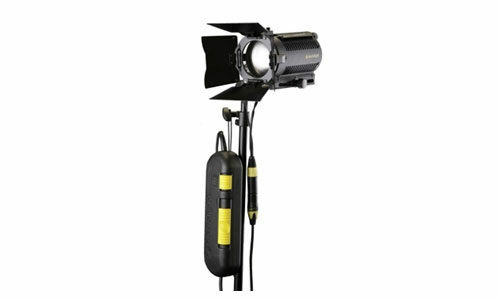 With a 100W lamp in the flood position, its light output is greater than a 300W Fresnel studio fixture. When supplied with the multi-voltage power supply, it allows individual dimming of the lamp heads. Each of the four connector sockets has its own individual four-position control knob which changes the colour temperature of the light from 3400° to 3200° or 3000° Kelvin. The kit includes stands, barn doors, bulbs, and a carry case. 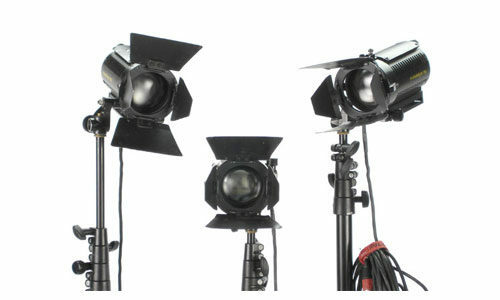 We can supply a range of DEDO light kit options, including Master lighting kits and single slider kits.